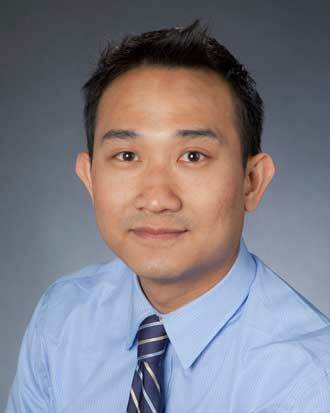 Dr. Ngo specializes in primary care, preventive care and geriatric medicine. Dr. Ngo has established a caring relationship with our mother. It´s easy for elderly people to feel "invisible". He kept her engaged in the discussions and was patient with her without making her feel insignificant. She thinks he´s wonderful and so do we...her daughters. The doctor was obviously upset with being late. He rushed through the appointment and did not even address one of the items that I had on my list of things to discuss that I had given him. Dr. Ngo is an excellent Doctor. This was my first visit with him but all indications are my confidence will be "Very Good" in visits to come. It is just hard to give that level with one visit. Dr Ngo is the best! He listens and is enagged in the conversation. At first appt. very different than now. Seemed annoyed with concerns. Will not remain with him. PA/ARNP have been courteous and efficient. Doctor is excellent. I did get a bit of a sense of being pressed for time in my last visit, but not entirely negative, just felt a bit strained for time. Dr. Ngo always spends time with me and is very knowledgeable and caring to my personal needs. He listens to my concerns and questions and is patient to address anything I need clarification on. When it comes to an open discussion about "my wants" Dr. Ngo is very approachable. When it comes to my feelings about my care Dr. Duc Ngo does not shut me off. We have a very good two way conversation and that is what makes me trust him with my care. this is seriously the most understanding and compassionate dr I´ve ever had. he is so thorough and listens to my husband and I. He spends all the time with us we need. Dr. Ngo is a very professional, concerned doctor. I consider myself fortunate to be in his care. Dr. Ngo is always caring, thorough. Dr Ngo is the best! Doctor Ngo is always nice. Dr Ngo has always been very thorough during my visits. Very concerned for my health and well being. Dr. Ngo is top notch and a good guy. I recommended him as a doctor to my family. Said that I would be comfortable going to see him if my Primary doctor wasn´t available and encouraged my family to do the same. At no point in the visit did I feel that Dr. Ngo was addressing my concerns about my health, nor adequately explaining his position. A simple I don´t think so is not the same as relating a medical or scientific reason for pursuing one course of treatment as opposed to another. He was highly dismissive, and at times seemed to have less understanding of medicine than I did. This may have been due to that fact that he was talking down to me. Dr. NGO is always friendly and professional. Dr. Ngo and his team are the BEST! ... Thank You! Dr. Duc Ngo was very courteous, professional, knowledgeable and one of the best doctors I have had the pleasure of working with. Thank you Virginia Mason. I believe that doctor Ngo Is a really very good doctor, with a lot of feeling for his patients. I love the staff in Federal Way. They are very helpful and if I have questions know who to ask or the awnser to the question. Dr NGO is awesome , very iteligant and knows medicine . he is attentive and understanding .. Greatness add. Dr Nyo has a great presence and sense of humor, really like & trust him. Dr. Ngo listens carefully before giving any advice. Dr. Ngo is great. treats you like he really cares about not just your health but you as a person! I appreciate the time and consideration that the doctor gave me during my visit. I felt exteremly confident in the provider, he was compassionate and considerate, ataking into account the degree of my pain. He was aggresive into pursueing all options for treatment. Dr Ngo - when in his office I feel I am the only patient on his mind at the time, undivided quality attention. He listens, really listens, and I trust him completely. I felt very comfortable with this provider in spite of the fact that he was a fill-in for my primary care provider. He made sure I understood that she (primary care provider) would be the one to get all the information necessary and the scheduled appointment was made with her while I was there.